Air pollution is shortening your life. Here's how much. Air pollution is shaving months — and in some cases more than a year — off your life expectancy, depending on where you live, according to a study published this week. Worldwide, outdoor air pollution reduces the average life expectancy at birth by one year. The effect is much more pronounced in some countries: It cuts the average Egyptian's life span by 1.9 years and the average Indian's by 1.5 years. In Russia, it's around nine months. In 1969, Chattanooga was ranked as the worst city in the nation for air pollution. In those days, residents of Lookout or Signal mountains often could see a brown layer of smog hovering over the downtown area — a thermal inversion held in place by the mountains and Missionary Ridge. Several large manufacturing facilities off South Broad Street spewed particles into the air, and local residents often complained that a shirt that was white in the morning would have a layer of black soot around the collar by late afternoon. The Southern Saddlery leather-tanning operation on South Broad added its own peculiar tang to the air. Most of the polluting factories are either closed or have cleaned up their facilities. 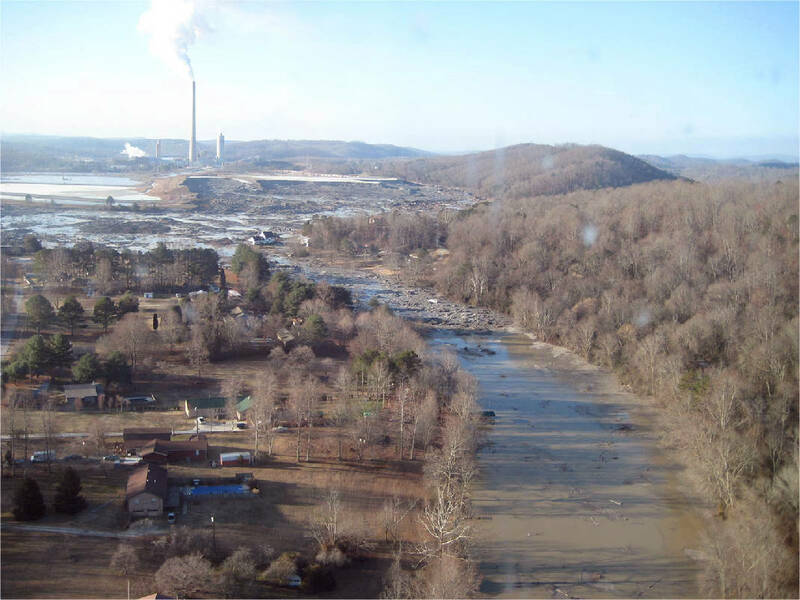 Coal is no longer used to power most industrial processes — the Tennessee Valley Authority closed its last nearby coal-fired generating plant (Widows Creek, 35 miles away in Alabama) in 2015. Now, nearly 50 years later, Chattanooga's air is much improved. A 2017 report from the American Lung Association ranked the Scenic City among the cleanest cities in the nation for air quality. For the United States, it's less, reducing the life expectancy of an American born today by a little more than four months on average. The administration proposal, issued by the Environmental Protection Agency this week, would replace the Obama-era Clean Power Plan, which aimed to steer the energy sector away from coal and toward cleaner energy sources. By the EPA's own calculations, the Trump administration's plan could lead to up to 1,400 premature deaths annually. Joshua Apte, an engineering professor at the University of Texas at Austin and lead author of the study, called that kind of particulate matter "the single most important environmental pollutant for ill health and death." The sources of PM 2.5 pollution and greenhouse gas emissions are often "tightly linked," Apte added, meaning that moving to cleaner sources of energy can deliver quick dividends for public health. "For example, more efficient cars or cleaner electricity directly benefit both climate and health," Apte said by email. "Indeed, the near- and long-term health benefits of cleaner and more efficient energy use are one of the best co-benefits of tackling climate change, as we will lead healthier and longer lives." Apte's team found that exposure to indoor air pollution — for example, cooking with wood, charcoal or animal dung — also can be devastating. In South Asia, for instance, it reduces life expectancy by an additional 1.2 years. Indoor air pollution levels were calculated by taking a limited set of actual indoor air pollution data and extrapolating it based on what fuels people use in their kitchens in different countries. The damaging impact of air pollution undercuts the overall progress that the world has made in raising life expectancy in the past decades. The global average is 72 today, about 20 years longer than in 1960. Improved access to health care has been a major factor in that change. Indoor and outdoor air pollution together are directly responsible for 1 in 9 deaths worldwide, according to estimates by the World Health Organization.